Kick me when I’m down, whether I am good or bad, seems to line that springs to mind when looking at the dollar’s performance thus far Friday. One could sense the market’s appetite to go for the kill from the off this morning, when the euro moved up close to the all-time high at 1.45, before the key payroll data from the US was even released. A bad number was going to be jumped upon and were the number bad we were looking at 1.4550 and above. The market did not anticipate the figure of 166K we subsequently got – twice the estimate, but with no dollar bulls in the market, traders of EUR/USD – who are over 85% long in the market at the last count, held their nerve and their positions and after a paltry dip to 1.4450, the pair sprung upwards to hit a fresh lifetime high at 1.4521. It’s rather baffling in a sense but it is a demonstration, if one was needed, of just how negative current sentiment is against the dollar. In the days of old a nonfarm number that was twice the forecast would have seen a dollar rally of 150 pips and it would have held those gains. What is rather more alarming about today’s price action though is that despite a 370 point collapse in the Dow on Thursday, the euro entered today’s US session stronger than it was at the same time yesterday. Does this mean the euro has now become the new safe haven currency when risk aversion levels are high? This is a highly unusual occurrence and merely underlines the extreme bullish tone that the euro currently commands and the flight to anywhere away status of the US dollar. October’s manufacturing PMI for the euro area reported a significant slowdown over the month with the key index falling to 51.5 from 53.2 in September. Germany’s index fell to 51.7 (forecast was 53.6) from 54.9 a month earlier and indicates the euro zone’s manufacturing sector is coming under increasing pressure. The market ignored the data, preferring to stick to the overriding market sentiment. A considerable amount of poor economic data out of the euro area of late has been ignored, while preference has been given to inflation and the ECB’s hawkish bias. It is difficult to see how the euro can possibly sustain a price above 1.45 on recent events, particularly seeing as a Fed rate cut in December looks off the agenda, following today’s payroll data. I would not buy the euro at levels close to 1.45. My instinct is that we could see a reversal on Monday once the impact of today’s US payroll report has sunk in (if it does not trigger a move today) and we should see a retreat back to 1.4350 at least, early next week. Sterling held up remarkably well Thursday and Friday (currently 2.0832) when a sharp tumble in global stock markets failed to trigger any great sell-off in the high-yielding pound, while the Aussie and Kiwi dollars crashed. The pound has thrived on negative US dollar sentiment this past week and on Thursday hot a fresh 26 year high of 2.0875. While such levels, on the face of it, don’t appear sustainable, it is worth noting that sterling has gained very little against the US currency in recent months, when compared with most other currencies, so all we are currently witnessing is more a stabilisation of the UK currency. Friday’s construction PMI index reported a sharp pick-up in activity in the sector during October, the index rising to 64.8 from 60.2 a month earlier. Sterling gave back much of its quick-won gains against the euro in the past 24 hours as a rise in risk aversion levels called a halt to the expansion of the carry trade which had picked up pace following the US Fed’s rate cut announcement on Wednesday. Cable does look vulnerable at present levels above 2.08, but there is some chance sterling could sprint to 110 before we see a true correction. However it is dangerous to buy cable at the present price because any correction downwards could be sharp, probably bringing us to 2.0525 at least. Cable is overbought following a 5 cent move in the past week and we should see the pair selling off a bit early next week, even if there is a bold move to hit 2.10 beforehand. The pound offers good value on prices close to 0.70 against the euro and there does remain the chance of a very temporary correction back to 0.69, although next Thursday is a risk day for sterling on this cross, as both the ECB and Bank of England meet and with the Bank of England expected to keep rates on hold and say nothing, the ECB is expected to keep rates on hold and deliver a hawkish message in response to highest inflation figure seen in the euro area for 25 months. This could send EUR/GBP on an upside rally. Sterling will remain vulnerable on the yen and Swiss franc crosses, if risk aversion levels remain high. The yen is the proverbial yoyo of the week, appreciating sharply as stock markets fall and depreciating just as quickly as stock markets look like they may recover. Volatility has been pretty sizeable which explains the seesaw price direction, but one cannot trade the yen right now, without placing limit and stop orders, because otherwise you miss the moves. It is worth noting that despite all the doom and gloom that follows the US dollar traders still prefer it to the yen, all other things being equal. The only way the yen is going to push into a real trend pattern is if the token bearish effort we are seeing in stock markets is to be sustained for a period of time (weeks, not 1-2 days). We saw the dollar quickly advance to 115.50 after today’s nonfarm payroll report, but soon after the pair was trading back at 114.80, as US stock markets went negative for the day. It is a foolhardy game trying to trade the yen against a backdrop of stock market volatility and the best advice is to stay away from it for now. The euro is trading at the midpoint of the day’s trading range Friday (166.12) and once suspects the pair is destined for 168+ next week, with the prospect of a hawkish sounding ECB. This of course will change, if stock markets continue to misbehave and tumble lower. The dollar should be able to move to 116.50, under stable conditions. It’s almost a daily occurrence trying to explain a new high being hit by the Canadian dollar and today is no exception as we saw the loonie smash Wednesday’s historic low of 0.9416 to bring the anchor down by almost another cent Friday to 0.9325. Today’s rally was sparked by a much higher than forecast jobs gain in October (+63K vs +15K forecast), while the unemployment rate fell to 5.8% from 5.9% the previous month. The market moved ominously prior to the release again, bringing the loonie down close to the previous low. This appears to happen before each key economic release out of Canada of late, where the subsequent report exceeds market expectations. Could it be a leak or is it just down to a perceptive market. There is something troubling however about the fact that USD/CAD has absolutely no support levels to fall back on. There is not a bull in sight it seems and on current performance the loonie makes the euro look like a pussycat. Will the loonie ever stop appreciating? The next Bank of Canada meeting should be particularly interesting. While today’s data was indeed robust and points to a tightening labour market, it is a lagging indicator and is never going to reflect the risks associated with an export-oriented economy that has a currency which has grown 20% in value in 7 months against the currency of the country that constitutes 80% of its exports. The loonie hit 123.60 against the yen today, which is nearly 27% above what it was trading at on March 5th and one may be forgiven for mistaking the loonie for a Chinese stock, rather than a major currency. The loonie offers no value at current price levels, but I’m reluctant to trade it at all until we see some evidence of a corrective tone. Well, we managed to hit the magical 1.45 line Wednesday shortly after the Fed rate cut. The market is still unsure what to make of the actual accompanying statement, which on balance, was broadly neutral. We need to see the key data over the next few days (which the Fed would have had exposure to during their deliberations) to know whether a further cut in December is likely or not. If Thursday’s core PCE inflation indicator registers above last month’s 1.8% reading, then it will a signal that inflation is beginning to creep up again. In fact with oil prices hitting a ridiculous $96 a barrel level overnight, it is difficult to see how inflation is not going to become a major problem for the US, particularly given the weak dollar. The euro dropped to 1.4406 this morning because of profit-taking and if the US data today is broadly supportive of the dollar, then we could see price return towards 1.4350 ahead of Friday’s non-farm payroll data. A weak set of data results (including a soft PCE core reading) may well reinforce the view that the Fed will be cutting again in December and the dollar could retreat sharply once again. Keep a close eye on the ISM manufacturing index at 14:00GMT because it comes a day after the Chicago PMI revealed a contraction in October (a story which rather slipped under the radar because of the preoccupation with the Fed meeting). A contraction in the ISM index (<50) for October would be a very bad sign for the US economy, particularly as exports should be significantly on the up because of the weak dollar. Markets will also be looking at the Pending Home Sales index for September which will give an indication of what to expect from October’s house sales data, released later this month. Major negative data out of the US could trigger a decline in stock markets and a rise in risk aversion levels, which could artificially protect the dollar. Today’s market should be data driven and we could see price action bump around a bit, but a high PCE figure and a strong ISM number should give the dollar a boost. Expect to see price move largely between 1.4350 and 1.4480, unless the data is extreme on one side or the other. The tendency is to still buy on dips, because sentiment towards the dollar remains very negative, but await today’s data releases before deciding to enter the market. Many market players won’t show their hand until Friday’s nonfarm payroll data is released. Sterling has gained massive support this week from somewhere, soon after all the TV and market analysts were forecasting its downfall. Who would have thought a month ago that cable would be trading at 2.0840 within a few weeks? Well, not me neither. Just this morning, UK data printed quite poorly, with October’s CIPS manufacturing PMI slowing to 52.9 from the reported 54.7 a month earlier, but markets shook this off as if the data were not released. My feeling is that sterling is gaining primarily from a new wave of interest in the carry trade, thanks to a rate cut from the Fed, and also because sterling is seen as having more upside potential than the euro right now, particularly as it has broken above key technical levels. The Bank of England’s Barker, on two occasions in the past week, appeared to intimate the MPC were in no rush to cut rates anytime soon, so this too is helping to support sterling, at least in the short-term. Markets may believe cable now has the potential and the momentum to take it to 110. After all it is only 160 pips away. I would be very reluctant to buy cable at the current price, as there is scope for a very sharp decline, particularly of if the dollar triggers any sort of broader correction. Such a correction though could see sterling gain against the euro, as there are infinitely more euro longs in the market than sterling ones. We’ll look for a possible return to 0.69 for EUR/GBP over the course of the next few days and then buy the pair. Sterling is hugely vulnerable on the yen and Swiss crosses, if risk aversion levels rise. There is no value in buying sterling at current levels and it is worth selling down cable at levels over 2.0820. The yen, as we predicted, became the principal victim of the Fed rate cut, with carry traders jumping in to sell the currency immediately after the announcement, to fund positions on high yielding currencies like sterling and the Australian dollar. This urgency may prove to be premature because 1) the cut was already fully priced in (more than once), 2) there is no clear commitment for further rate cuts from the Fed and 3) rampant oil prices are putting a dampener on the global economic growth story and may lead to a softening in growth prospects across the globe and see stock markets react adversely, which in tuen will put pressure on the carry trade. For now though, the yen has given up the 115.50 price mark against the dollar and needs to recapture it quickly if it is not to cede trend direction to the greenback. If the dollar takes out 116, then 117 could be hit within a couple of days and we could see an eventual rise back up to 118. I have an inkling the higher energy prices and the begative impact this will have on economic growth prospects will begin to weigh on markets over the next few days and unless there is a sharp pullback in oil prices, risk aversion could return with a vengeance and the yen will be the main beneficiary. A move back below 115 today could see a quick decline to 114 and return to the downward trend. We could see EUR/JPY quickly correct back to 165, having jumped 500 points in the past 4 days. If risk aversion levels remain high, expect the yen to gain massively against sterling, which has once again gone above the 240 price mark. It also has scope to gain significantly on the Canadian and Australian crosses. Loonie supporters must have been doing cartwheels across the floor Wednesday as the currency hit its highest level against the US dollar in 50 years. Yes, that is FIFTY years. The pair crashed below 0.95 and 0.9450, before tipping 0.9416 – a new record. As to whether this is an anchor that may last for more than a few hours, we do not know, but the frantic rate at which the loonie is advancing must be very worrying for the Canadian Government (Yes, Mr Flaherty, some of us hear you, but do please talk louder). We have now witnessed a 24.5 cent rally in the loonie since last March and that is unprecedented. Either we enter a period of consolidation, or, in my view, we are going to see market intervention and a cut in interest rates from the Bank of Canada. Canada’s economy is being made uncompetitive virtually overnight and it has nothing to do with the country’s low productivity levels, which are indeed low, but it is as a direct result of a massive speculative gamble by currency traders. Speculators are using oil prices as a gauge for how far they can push the loonie, but as is pointed out by an article in our archive from last week, the contribution of oil revenues to the growth of the broader Canadian economy is hugely exaggerated. Canada’s economy is in danger of hitting a wall, and very quickly, if the soaring loonie is not brought down to earth. Bank of Canada officials need to come out in force to talk down the currency and start sending a large proportion of the speculative players to the exits. For today, there has to be the potential for a rise back up to at least 0.95. There is absolutely no value in buying the loonie against any currency at current price levels, but if you wish to jump on the loonie bandwagon, at least wait for some correction. The euro, to my surprise, fell to 1.36 against the loonie this morning, but this to me remains the value trade, i.e. buy EUR/CAD. Stock markets are down thus far today and an appreciation in the yen could see the CAD/JPY cross fall dramatically. PS: If you have something to say, say it. There's a comment thingie below. Just over an hour to go to the Fed and the euro has run up to yet another new high in anticipation of a cut, which should see the euro sail over the 1.45 price mark. How high the pair can go will very much depend on what the Fed says in its accompanying statement. If the Fed hints at further monetary easing in the months ahead the euro may well reach 1.46. Any shift of bias to the inflation side could see the dollar bounce back after an initial push upwards. It is high risk stuff but one would prefer to be long right now than short. Many clever traders will stay out of it altogether until the dust has settled. Today’s report which showed US GDP grew at its fastest pace in quarter 3 since the first quarter of 2006 failed to inspire any dollar rally. The ADP employment report hinted at a possible upside surprise in this Friday’s nonfarm payroll report, as private sector jobs were reported to have risen by 105K in October, above economists’ predictions for a rise of just 60K. The euro was boosted this morning by the preliminary inflation indicator for October, which at 2.6%, is the highest inflation rate seen in the euro area for 25 months. This is sure to keep ECB hawks in the majority and raise the prospect of further tightening in the near future. The European Commission's key economic sentiment index for October,released today, revealed that business sentiment across the euro area weakened further in the past month. The index fell to 105.9, from 106.9 in September. Euro area unemployment dropped to 7.3% in September from 7.4% in August (originally reported at 6.9%, but how the measure is calculated was changed). Sterling is the day’s star performer, gaining on both the dollar and the euro, while rising significantly on the yen cross. The currency was boosted by a survey from Nationwide which reported that house prices rose at their fastest pace in 4 months in October, signalling that reports of a major housing slump may be exaggerated. Cable has risen to 2.0780 this afternoon and so long as it stays above 2.0650, 2.10 now looks like a realistic target over the next week. The euro has dropped to 0.6958 against the pound and there is the potential for a brief return to 0.69, if the Fed cuts rates and it fuels a rally in stock markets and the carry trade through to the end of this week. Sterling is vulnerable if there is a rise in risk aversion, given the current rally has come on the back of a new wave of carry trades. The yen came under attack today after the Bank of Japan shocked nobody and left its core interest rate unchanged at 0.5%. While not a surprise, the anticipation of a Fed rate cut this evening, is enticing more and more positions into the carry trade, with the Japanese currency being used as the funding currency. Housing starts in Japan crashed by 44% year on year in September, raising concerns about the domestic economy. The yen needs to hold the dollar below 115.50 today, otherwise the dollar could again take control of the pair's direction and we could see a return to 117 over the next week. The euro has risen significantly against the yen to over Y166.50 Wednesday and is now only 2% of fthe magical Y170 price barrier, which it looks set to breach over the next week, unless there is a significant rise in risk aversion levels. If the Fed fails to deliver a rate cut this evening, the yen will rebound strongly across the board, but particularly against sterling and the Aussie and Canadian dollars. USD/CAD is currently trading along the 0.95 line, having dipped below it for the first time in 40 years a short while ago. The loonie rallied on the back of a GDP report for August which revealed the economy grew by 0.2% in the month, (in line with expectations) and rising oil prices. Oil has virtually regained all of Tuesday’s losses thanks to a weekly inventory report in the US which shows that crude inventories surprisingly dropped last week. The loonie was untroubled by comments from Canada’s Finance Minister Jim Flaherty, who suggested the loonie's current strength is down to speculative trading moreover underlying fundamentals. We will have to wait until the dust settles after this evening’s Fed rate announcement, to see whether Flaherty’s comments scare off some of the speculative longs in the market. The loonie looks set to record a further record high later today, possibly around 0.9450, but the time must be nigh for a very sharp correction and if Friday’s payroll report out of Canada disappoints, it could just trigger it. The Euro again offers good value at around 1.37 against the Canadian currency. Likely to trade within a narrow range ahead of Wednesday's Fed rate announcement. There is the potential for some pullback today if risk aversion levels rise, or if speculation intensifies that the Fed could keep rates on hold. The euro though looks poised for a strike at 1.45 and we could wee see that happen Wednesday, if the Fed meet market expectations for a 25 basis point cut, or surprise with another 50 basis point cut. The Fed will have access to this week’s key economic data (PCE core inflation indicator and ISM manufacturing index, as well as October’s non-farm payrolls number) when it makes its decision, data which is not officially released until Thursday and Friday. Any sharp surprises in this key data, particularly the core inflation indicator or the payroll numbers, could potentially influence the Fed’s rate decision and the content of the statement it subsequently releases. $93 oil also cannot go unnoticed and the Fed will have to seriously consider that a rate cut tomorrow is likely to trigger $100 oil and pose a major inflation risk for the US economy. Runaway oil prices could be the one major obstacle to what would otherwise be a certain rate cut tomorrow, in my view. For Tuesday, the most likely scenario is a drift back towards 1.4350 with the euro rising back up to the highs of 1.4440 before tomorrow’s announcement. Cable has managed to take out the high at 2.0651 Tuesday and if it breaks above 2.0675 later today, this will be very significant technically and could lead to significant upside potential in the next few days, if we get the expected US Fed rate cut. However with housing data on Monday again reporting on the soft side, sterling’s apparent revival has more to do with US dollar weakness and technical trading than with any new-found underlying fundamental strength. Sterling will be massively vulnerable if the Fed does not cut rates tomorrow and we will probably find ourselves back at 2.0250 before the end of the week. The pound’s technical move against the dollar has helped it appreciate against the euro and the single currency is down 50 points to 0.6770, having hit 0.7020 Sunday night. The pound can potentially push the euro lower but will struggle to gain much beyond 0.6950 in the short-term. Sterling is vulnerable on the Swiss and yen crosses at current price levels, if there is any rise in risk aversion levels. The yen has just about held its own early Tuesday after two days of significant losses against most currencies, when we had a new wave of carry positions laid ahead of an expected US interest rate cut. The Japanese currency is likely to lose out more than the dollar in the event of a rate cut, as a rally in financial markets will lead to the yen being used as the principal funding currency. The Bank of Japan is expected to leave rates unchanged when it delivers its policy decision early Wednesday and unless Governor Fukui speaks in a hawkish tone, the yen will come under pressure, even before the Fed delivers its rate announcement later Wednesday. 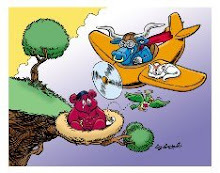 However, if the Fed does not cut rates Wednesday, stocks will tumble and the yen will be the principal beneficiary amongst the major currencies. For today, we may well see a sell-off ahead of the Bank of Japan announcement, if stock markets do rally later today, and the US dollar may rise to Y115.50, while the euro could reach Y166. The loonie was up to its old tricks again Monday, hitting yet another high, this time a 37 year high. USD/CAD yesterday reached its lowest trading price (0.9516) since the Canadian dollar decoupled from the US dollar way back in 1970. When are we ever going to see a bottom in place and a correction higher? The loonie has essentially rallied 13 cents without any correction against the US dollar since the credit crisis shook financial markets in the middle of August. That is an unprecedented level of currency appreciation by any standards and if this is not giving David Dodge and his colleagues in the Bank of Canada some sleepless nights, then it should be. Crude oil revenue has made a paltry contribution to Canada’s economic growth in 2007 and higher oil prices are not a justification for a higher Canadian dollar. The fact is that the rapid rate of the Canadian dollar’s rise in value is at odds with the underlying fundamentals and Canada’s economy will soon pay a very high price for this major disconnect. Speculators continue to ruls and dictate the direction of Canada’s currency. With a Fed rate cut on Wednesday likely to fuel further US dollar weakness, the greenback could find itself trading below 95 CAD cents within the next 2 days. There is the potential for some kind of correction upwards later this week and into next week, once all the risk events are out of the way. Keep an eye on oil prices today because speculators are currently using this as the barometer for deciding where to price the loonie. The euro is a good buy at prices close to 1.37.